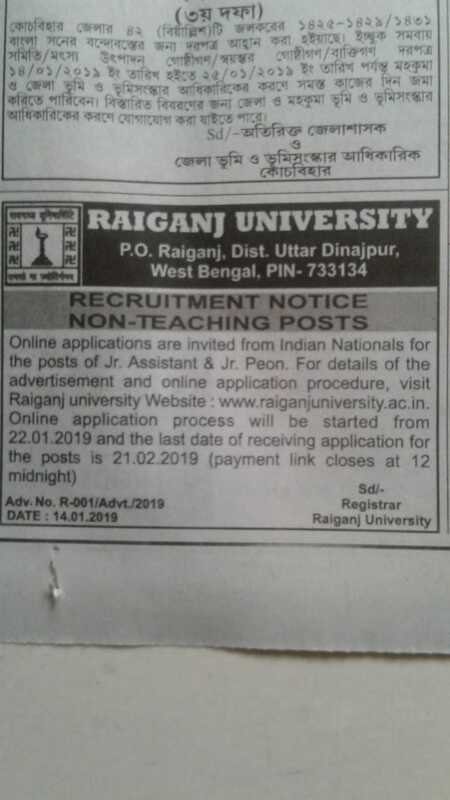 The portal for online application (www.raiganjuniversity.ac.in) will be activated on 22.01.2019 at 11 AM and will be closed on 21. 02. 2019 (Midnight). Click here to view G.O.